Quick before I forget the recipe. Fry sliced onions till soft. 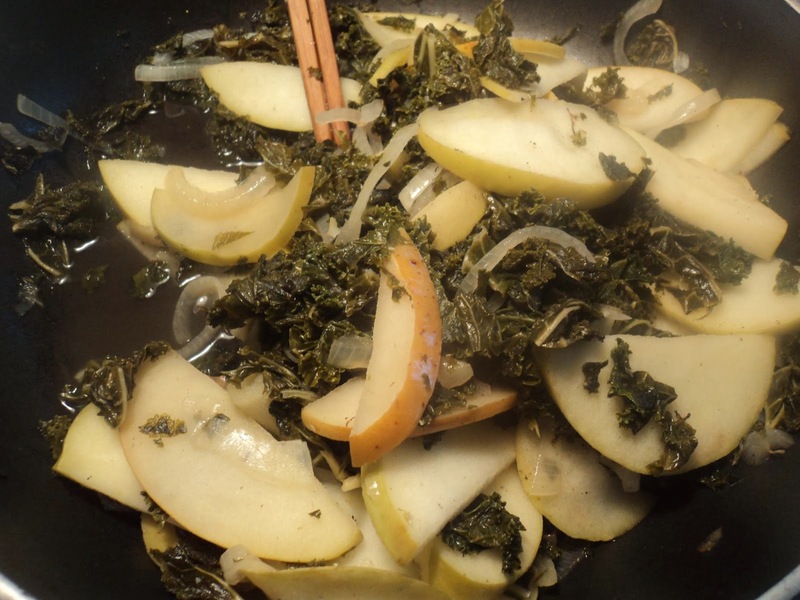 Add Kale, add apples, soften. Add vinegar about 1 to 2 tablespoons. Serve with pomegranite seeds for maximum impact.